Call us Today for Your Next Service! Call the Fire Department (Dial 911). Make sure the building is being evacuated. Determine whether the fire is small and is not spreading. Confirm you have a safe path to an exit not threatened by the fire. 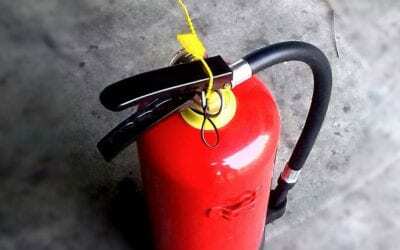 Know how to use a fire extinguisher. The fire is spreading beyond the immediate area in which it started or is already a large fire. The fire could block your escape route. You are unsure of the proper operation of the extinguisher. large enough to fight the fire. Why Does Smoke Come from a Fire? Using an Extinguisher? Learn P.A.S.S.